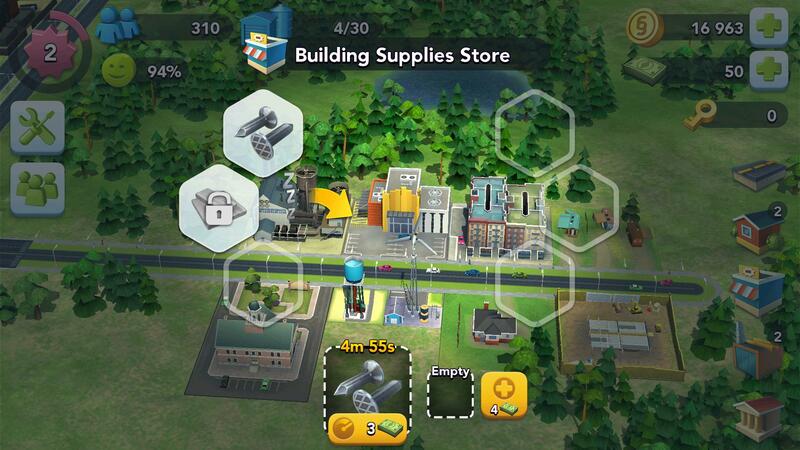 SimCity BuildIt is one of the latest additions to the SimCity franchise. The major difference between this installment and others is that it’s developed to be optimized specifically for mobile touch screen controls, and mobile gamers with limited playtime. So, while you do get the iconic features that have made SimCity so popular, you also get traditional mobile features such as the game being free-to-play and a pay-for-benefit gameplay. That’s not to say that paying is required – I played the game just fine and had a blast without paying a cent. A decent amount for what the game is. You’re free to design your city however you like, which is what you want from a SimCity game. This is my favorite aspect of the game, which makes me kind of sad that I felt rather confined most of the time. You can expand out, as you would expect, but (especially early on) you end up feeling like progression and expansion is much too slow. Great for a mobile game. The style chosen fits the Sim setting quite well, too. It’s really awesome seeing mobile gaming evolve out of 2D and 2.5D into full 3D. That’s not to say that SimCity Build It has incredibly high quality graphics – they’re still rather simple. But while looking at them at a phone screen, they are definitely pleasant to the eye. The controls are superb. During my time playing, I didn’t run into any issues at all, which is great. Even better is that the controls often feel very intuitive, meaning you’re going to pick up the controls almost immediately and in no time you’ll feel like you’ve been playing the game for days. Community didn’t seem to be a very big thing in the game. You can visit other cities to have a look around and do a bit of trading, but actual player interaction didn’t seem like it was one of the focuses of the game. During my time playing the game, I often felt like I was playing a single player game. Which is OK, in my opinion, as the game was quite fun. So, while I’m going to give community a low score, I also want to stress that it doesn’t make the game any less enjoyable. If you’re familiar with the general gameplay of the SimCity series, you’ll know what to expect from this game. The first time you load into the game, you are met with a short (but informative) tutorial that introduces you to the basic gameplay features. Overtime, the game gives you more freedom and slowly introduces more advanced features until you’ve been introduced to everything. By that point, you’ll have a decent sized town going and will have probably experimented with a few different designs. The game may not be as in-depth as (its most recent) PC counter-part, but it has a lot in common with it. 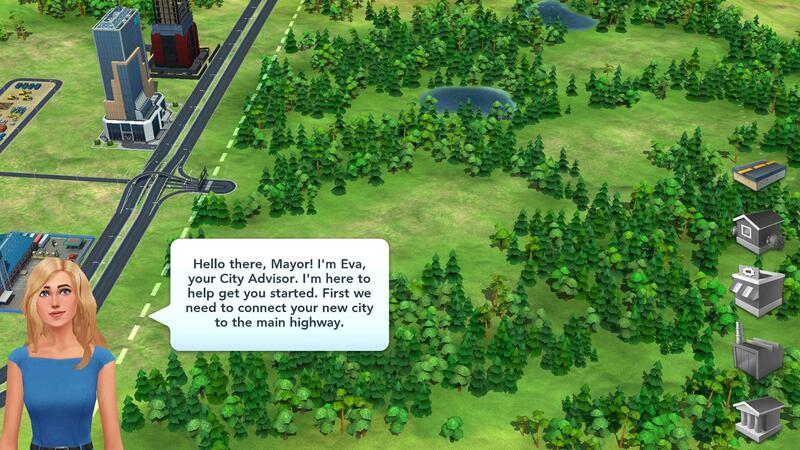 At its core, SimCity is a (as the name suggests) city simulator. You’ll act as the mayor of your city, and you will orchestrate its creation from the ground up. From setting up factories to get basic resources to build basic builds, to fabricating more advanced materials from the basic resources to further develop existing buildings. You’ll set up homes, power generation, water, maintain a happy population, and more. 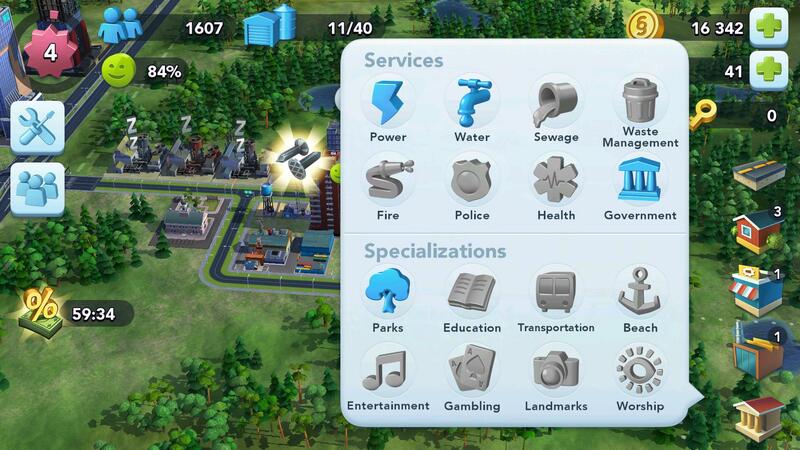 If you like to manage things, you’ll enjoy playing SimCity. Probably my favorite feature in the game is, as you might expect, the ability to design the cities. Initially you are given a smaller plot of land but it can be expanded. You’ll set up roads for your citizens to get around, homes for them to live in, factories for them to work, parks for them to relax in… All while taking care to balance the buildings correctly so that everyone gets power, water, relaxation, and a life free of annoyance. That means you’ll have to – when possible – avoid setting up homes near factories. Or, if you feel you can manage the hit to your citizens’ happiness, you might find it beneficial to set up homes close to factories despite how much it will displease the inhabitants of the building. Being able to design all this, with an increasing scale as you advance, is what makes this series so awesome for me and others. That brings me to the resource system. I’m not the biggest fan of this, as this is what encourages you to buy the cash-shop currency. The basic resources will only take less than a minute to complete, but as you get into fabricating more advanced building materials, the time to create them increases. Of course, you can spend a bit of your real life wealth to speed that along. It’s not a big deal, but having to spend money to not have to wait (relatively long) periods of time just so you can upgrade your buildings is a bit of a bummer. 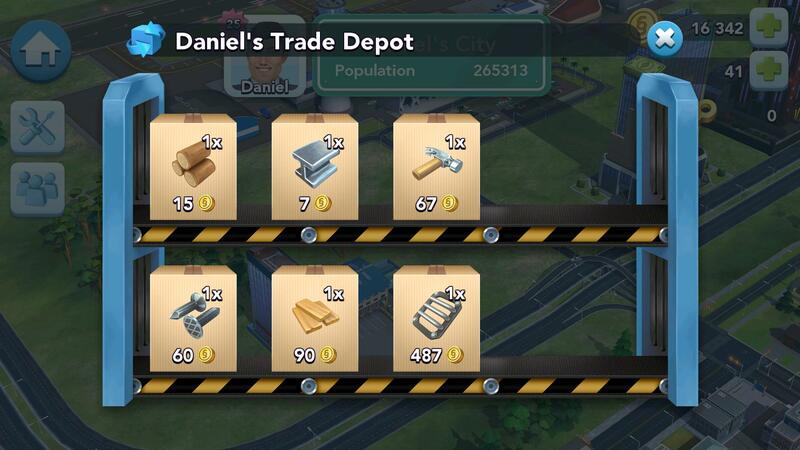 Of course, you can also head over to nearby cities to do a bit of trading to get some resources, too. 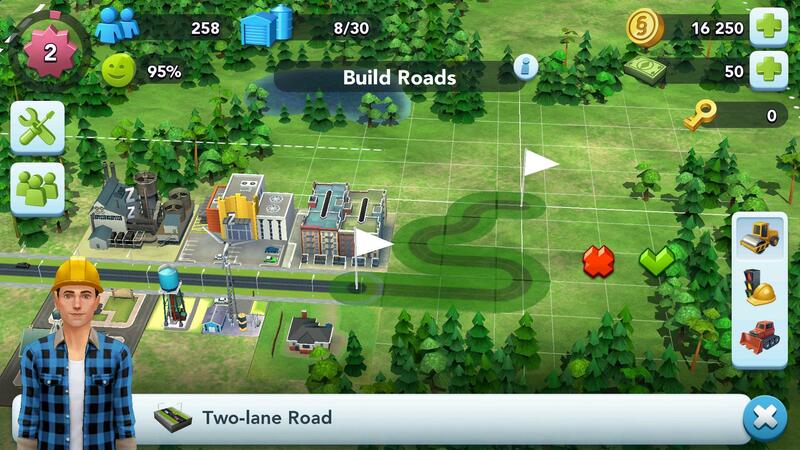 In the end, SimCity Build It is a game worthy of its namesake. It fulfills the basic features that make the SimCity franchise what it is, while also offering a more casual style of gameplay that fits the mobile medium. There aren’t many faults, but some minor annoyances in the form of wait times. If you’re the type that likes games with lots of design and management opportunities (such as the other SimCity games or Cities: Skyline), you’ll probably want to pick up this free game. I would definitely suggest you give this a chance, as it’s one of the better mobile games I’ve played this year. Features: 3/5 – Some more features wouldn’t hurt, but enough to keep things interesting. Customization: 4/5 – Exactly what I want from this type of game. Graphics: 4/5 – Fantastic for the medium. Controls: 5/5 – No complaints from me. Community: 2/5 – Doesn’t feel very important to the game, but does exist. 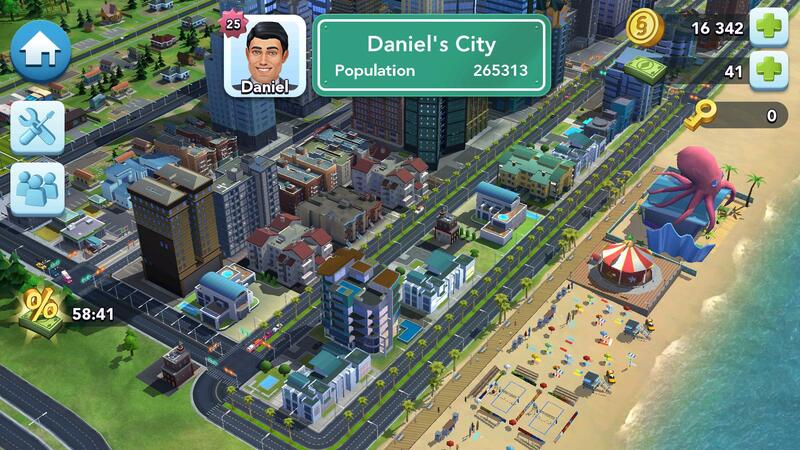 Overall: 4/5 – Almost the perfect example of a mobile city builder.